I just found Manic Monday at Classroom Freebies ... what a great place to find more things for my children! 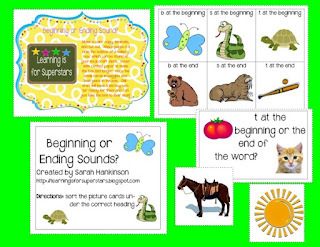 So, here's my Monday freebie - a beginning or ending sound activity using a bakery box that you can get from the craft store. the original box - these I got from my husband, a catering manager, but all of my others are from the craft store! Click on the last picture or here to get this activity from my TpT page. 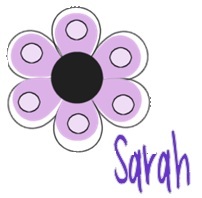 Be sure to check the other freebies on Classroom Freebies blog by clicking on the button below. Ahhhh! I LOVE this!! Thanks so much for sharing! Hi Sarah! I got your comment about the subway art...if you'll email me at lusigma04@gmail.com, I'll send you the one in the frame. It's a small, small world, glad to find another neighbor! Howdy! I'm at work browsing your blog from my new iphone! Just wanted to say I love reading your blog and look forward to all your posts! Carry on the fantastic work! I will immediately grab your rss feed as I can't in finding your e-mail subscription hyperlink or newsletter service. Do you've any? I've a mission that I'm just now working on, and I've been at the glance out for such information. I'm going to take a note of your site and keep checking for new information about once a week. I opted in for your RSS feed too. know such detailed about my difficulty. You're amazing! Thanks!